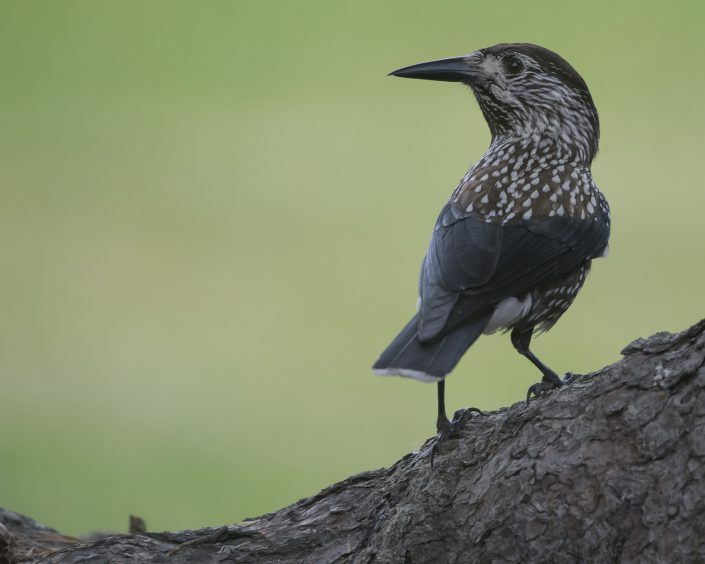 Spotted nutcracker, Eurasian nutcracker, or just nutcracker, is a passerine bird slightly larger than the Eurasian jay. 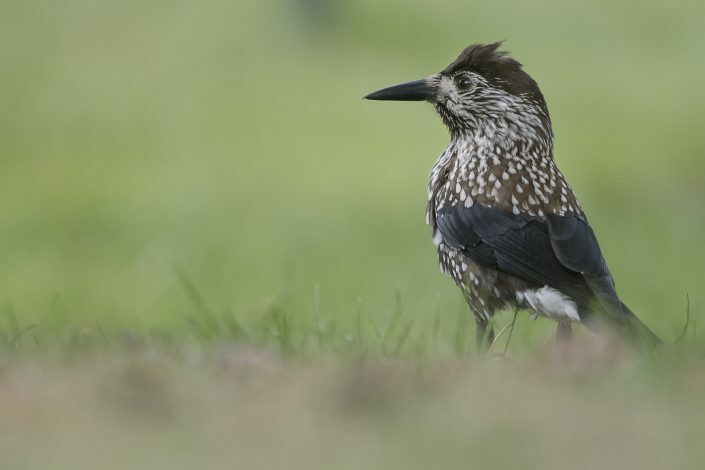 It has a much larger bill and a slimmer looking head without any crest. 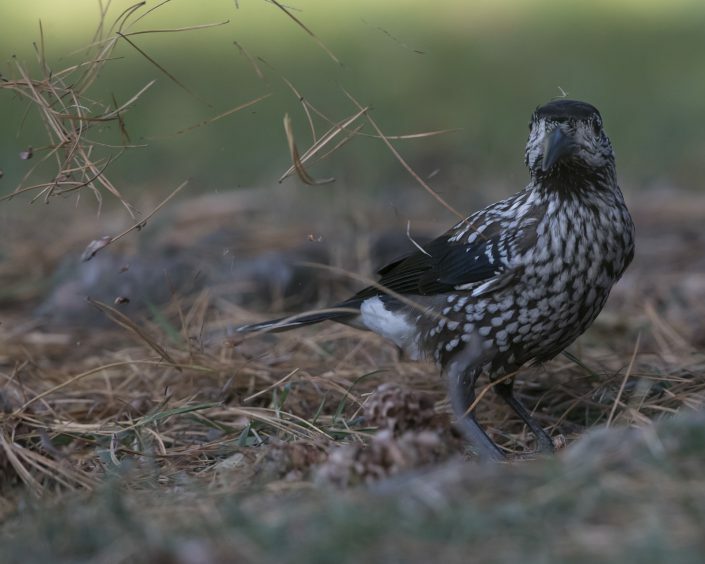 The feathering over its body is predominantly a chocolate brown with distinct white spots and streaks. 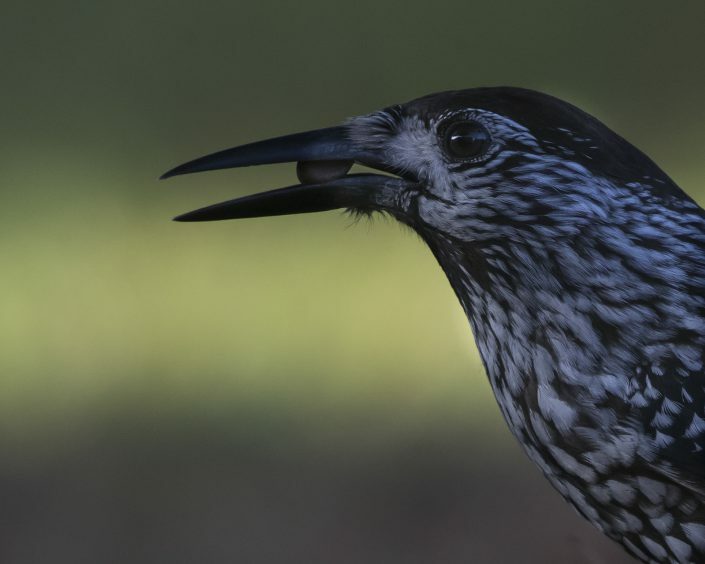 The wings and upper tail are virtually black with a greenish-blue gloss. 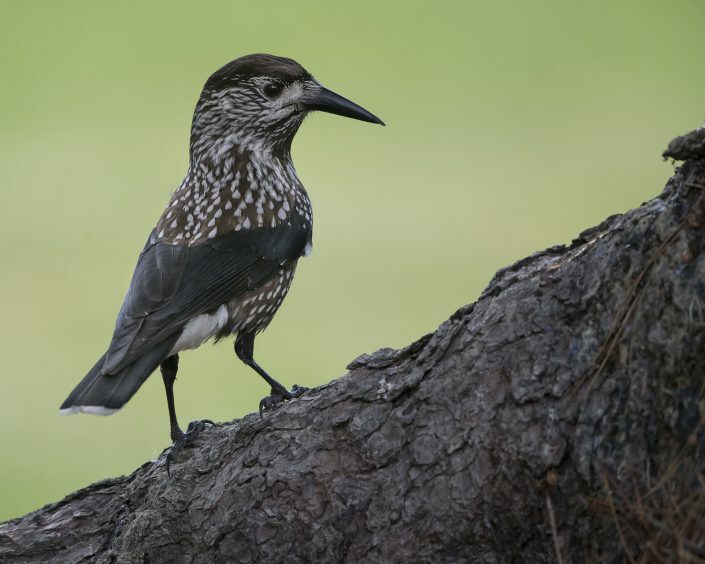 It is one of three species of nutcracker. 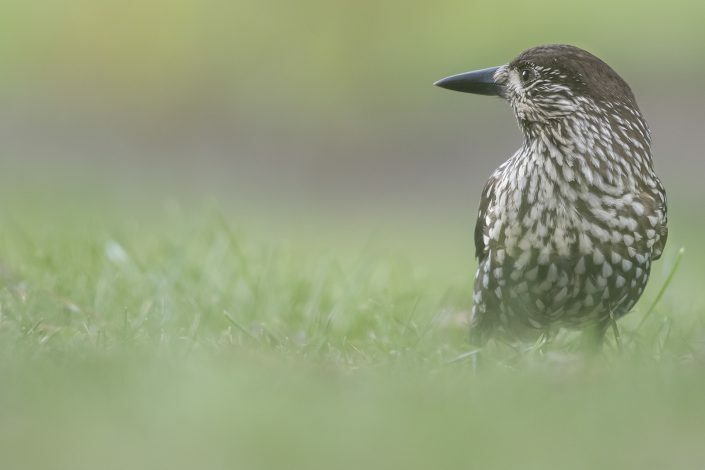 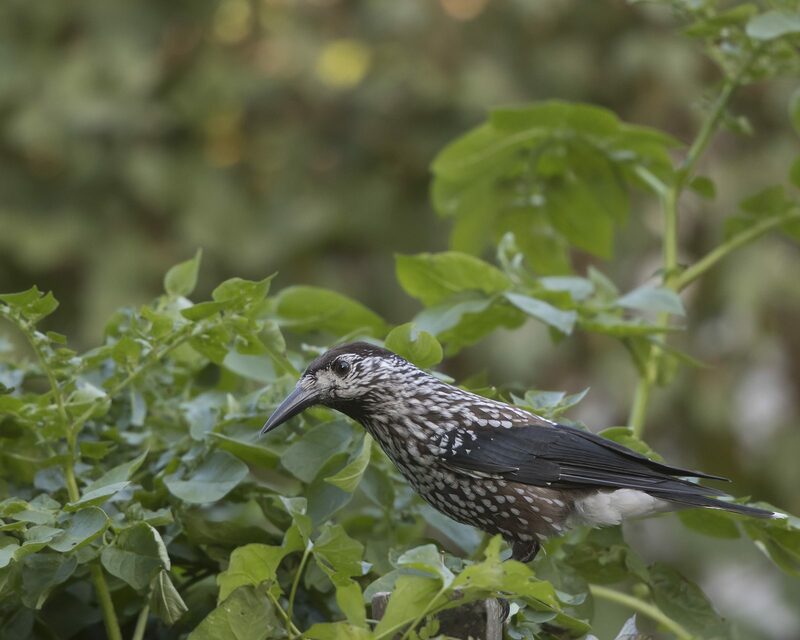 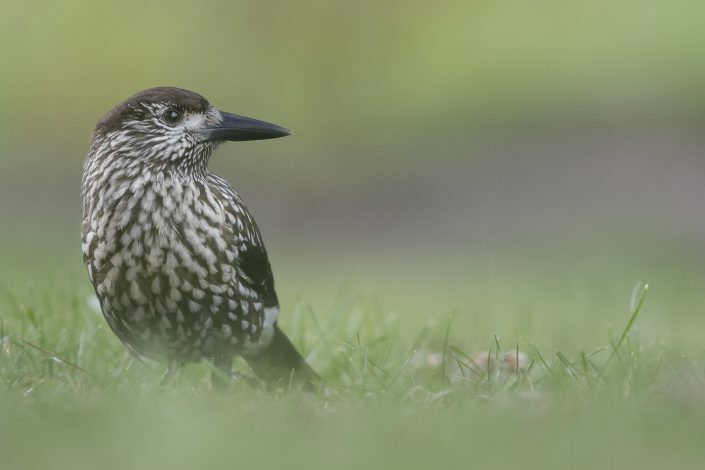 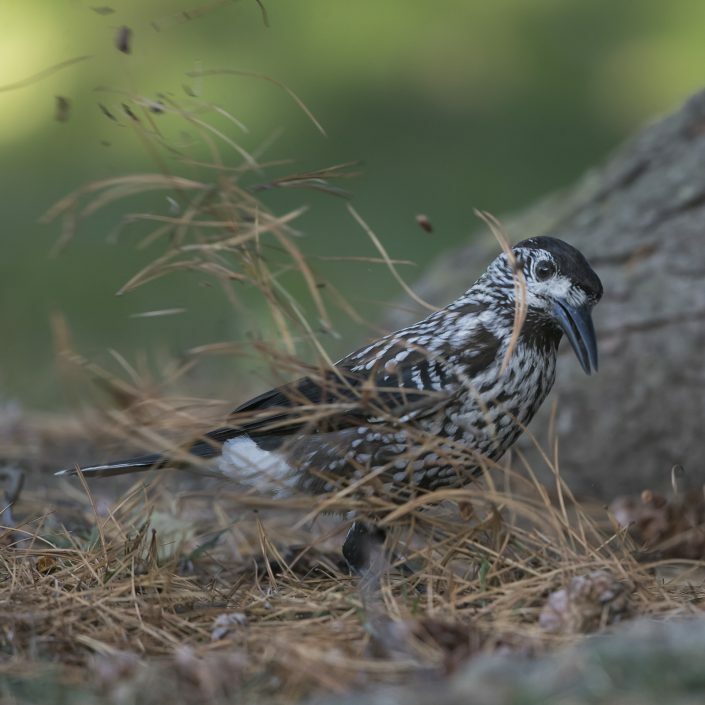 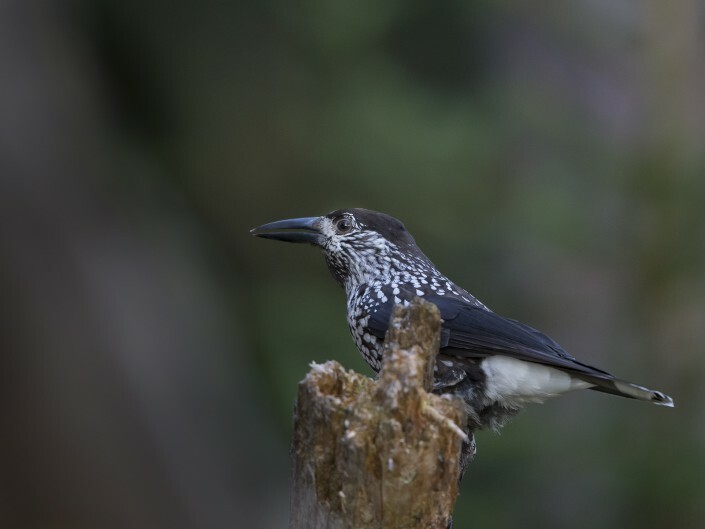 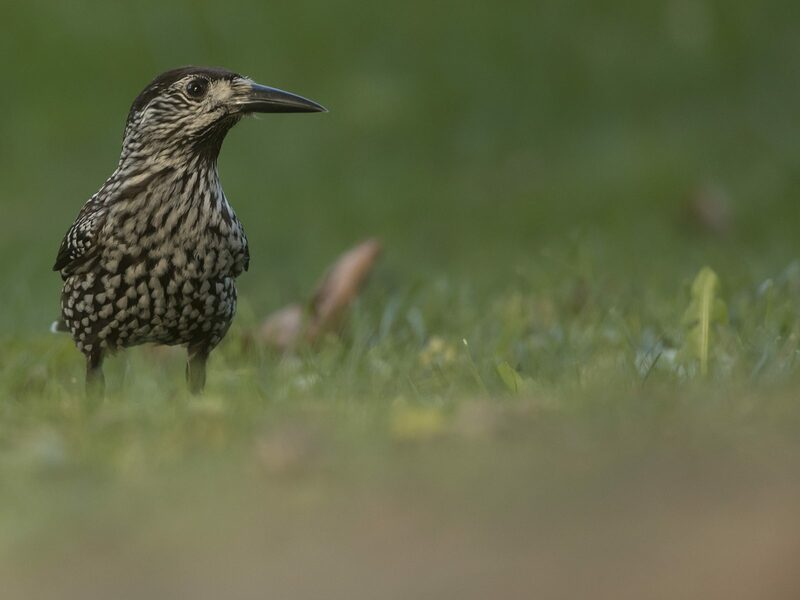 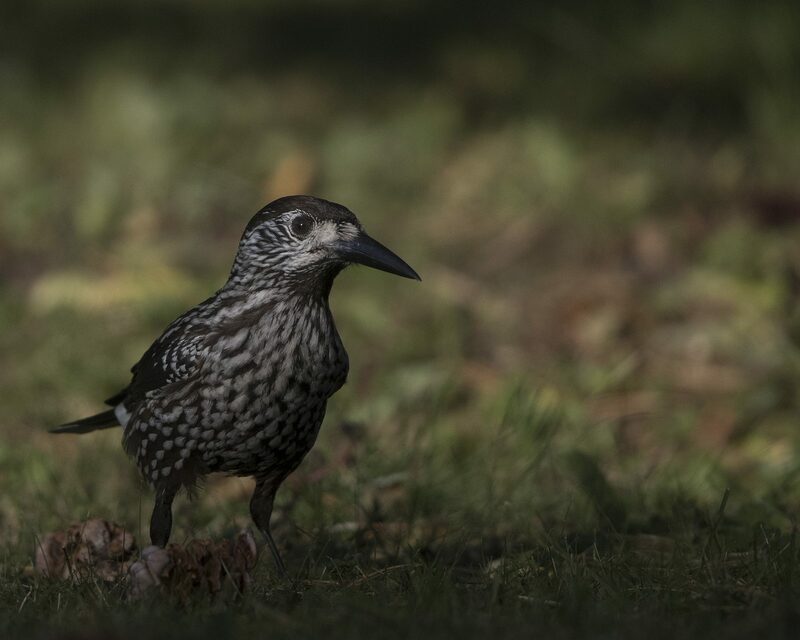 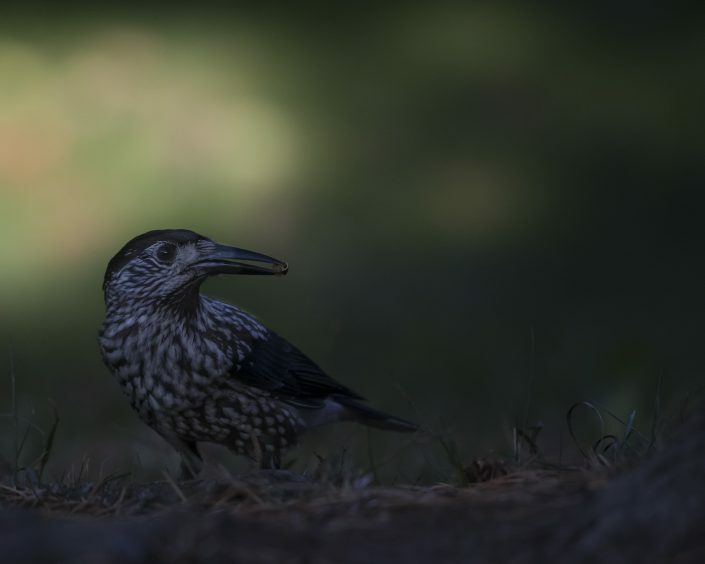 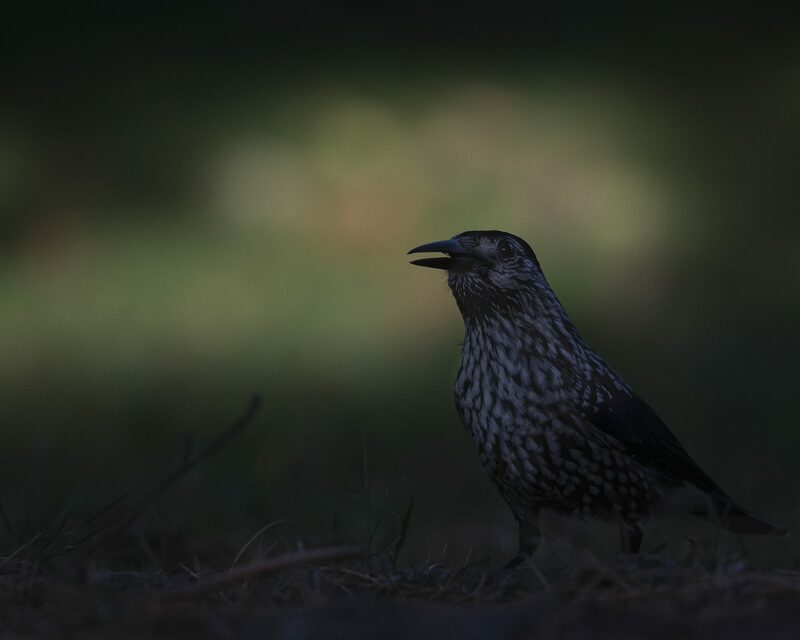 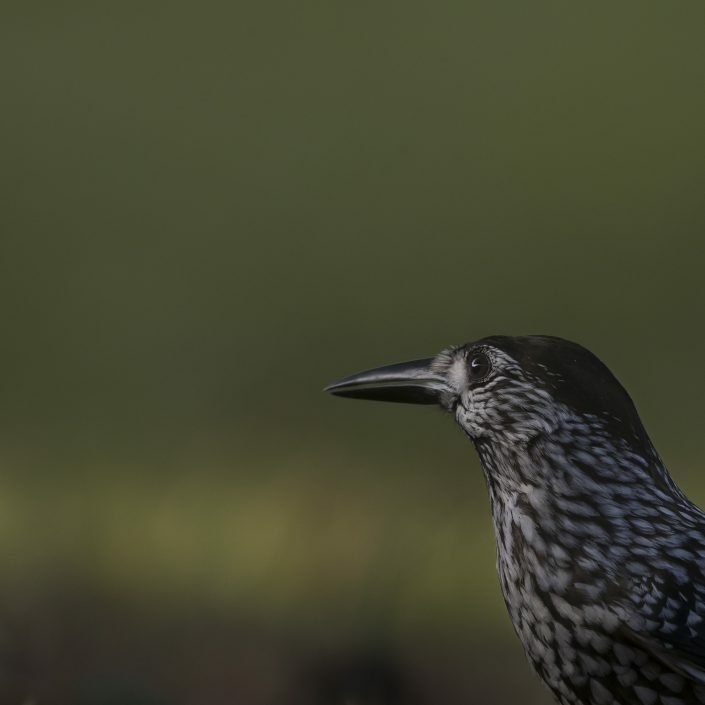 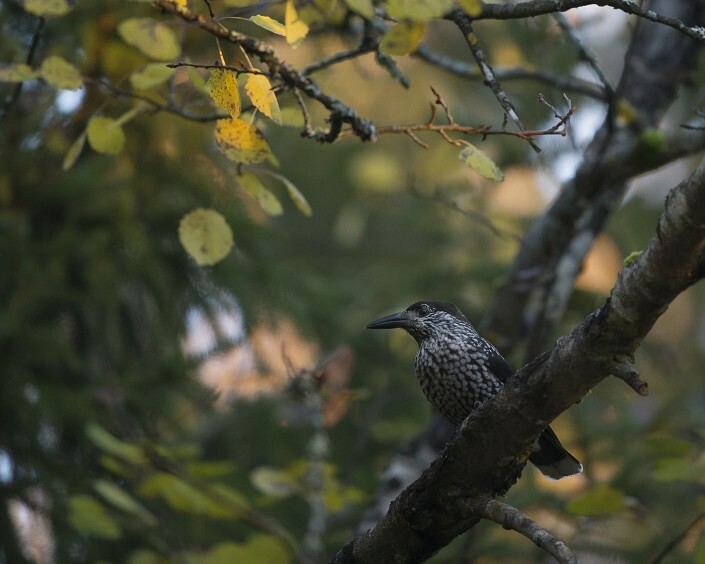 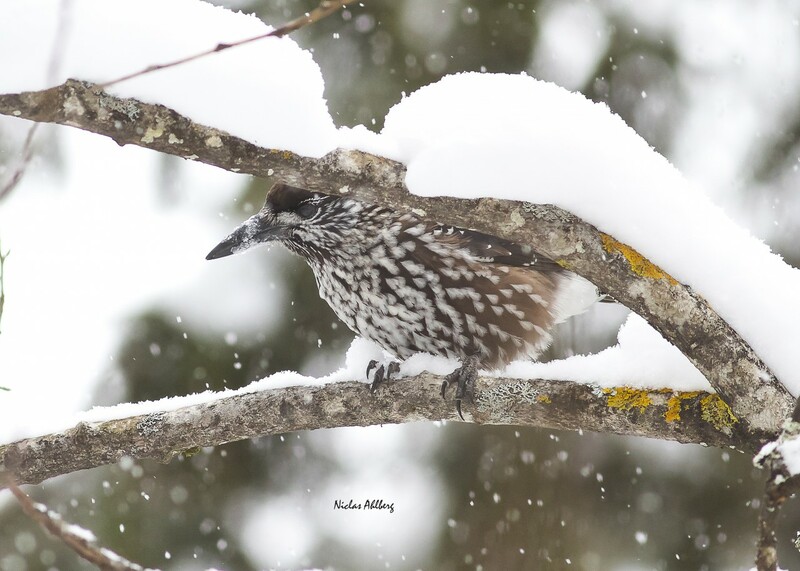 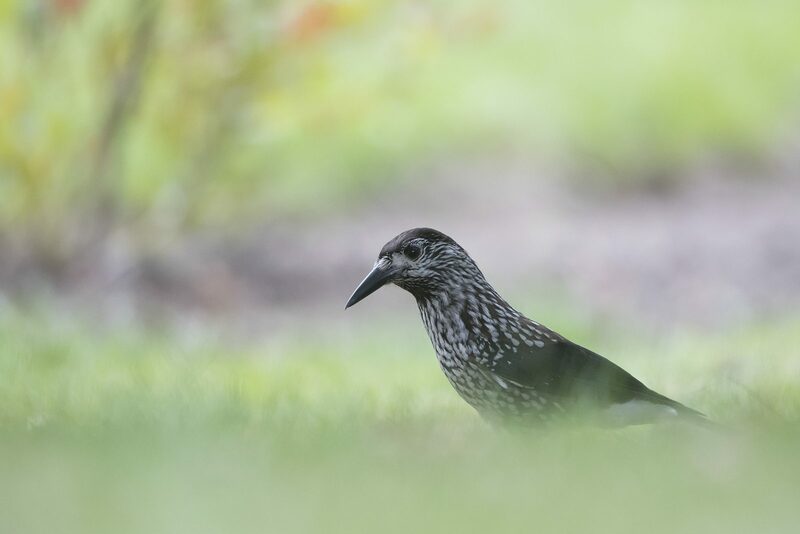 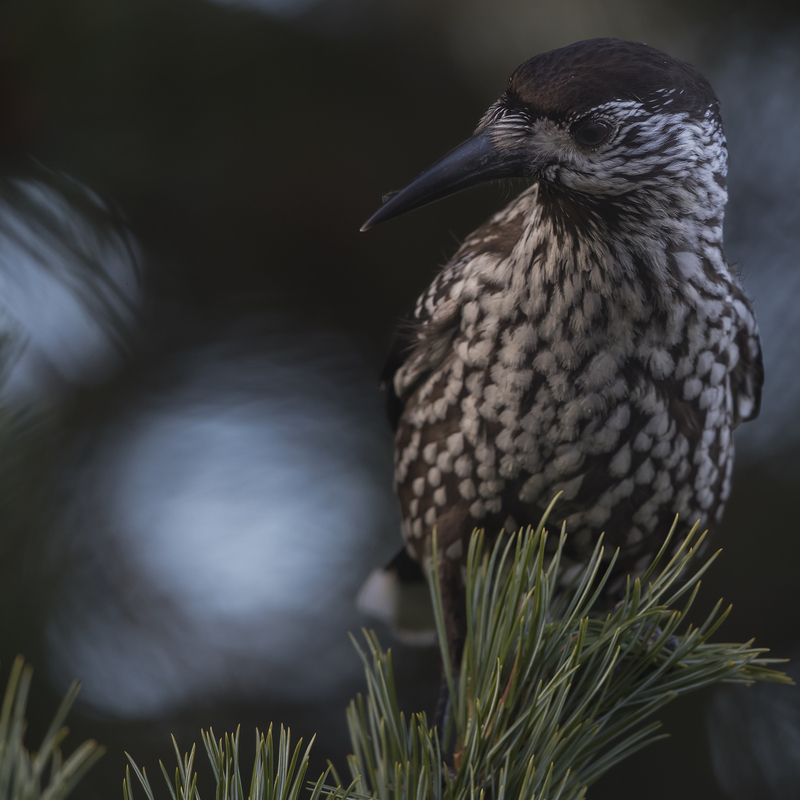 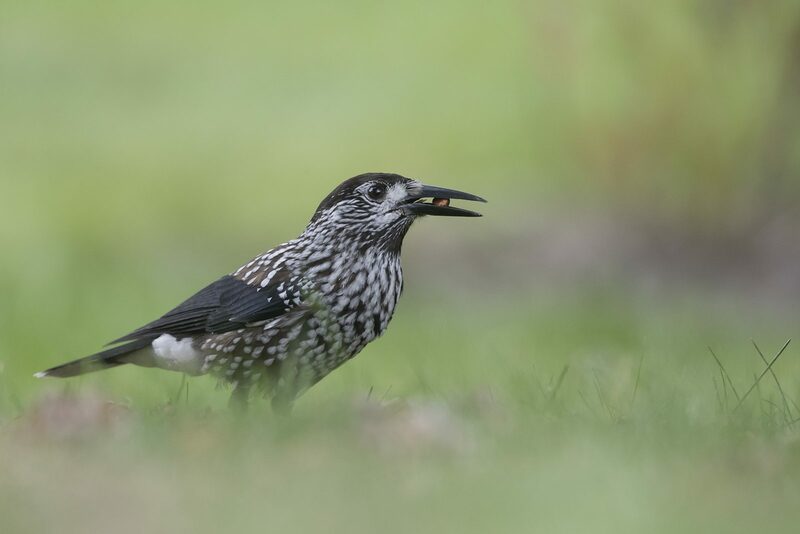 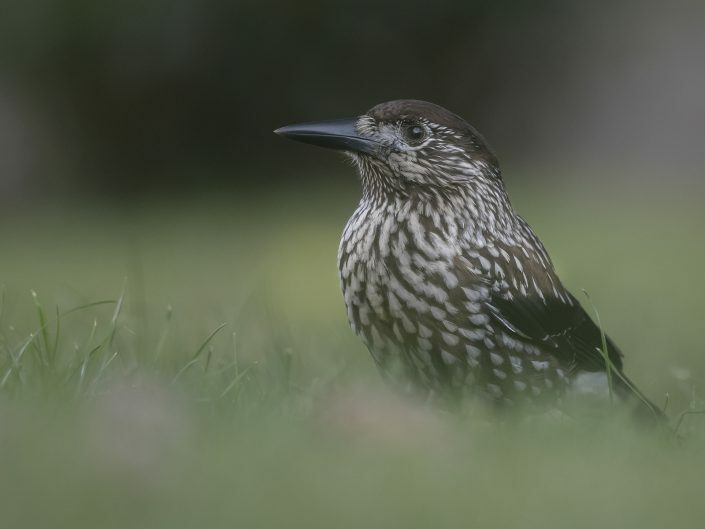 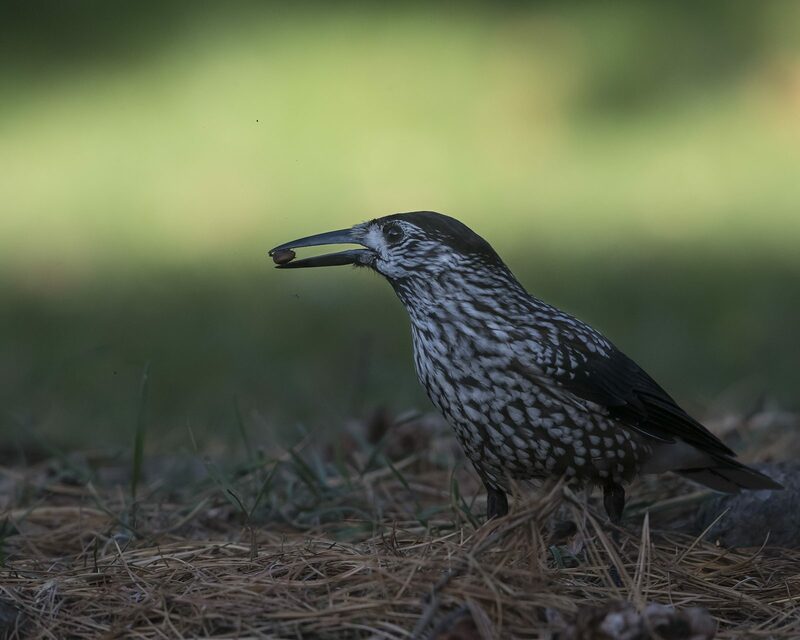 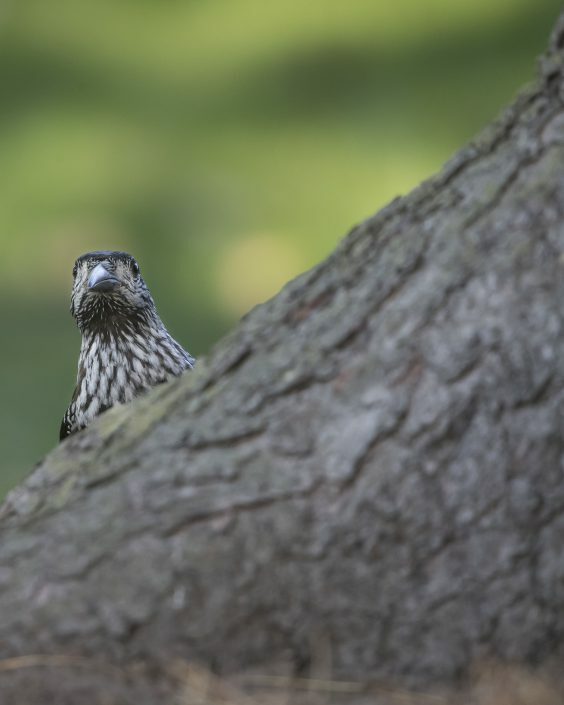 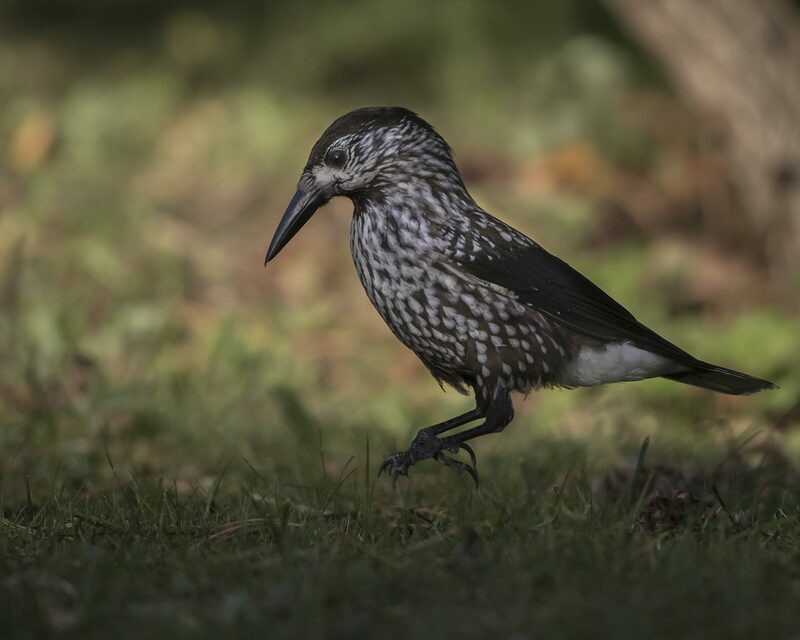 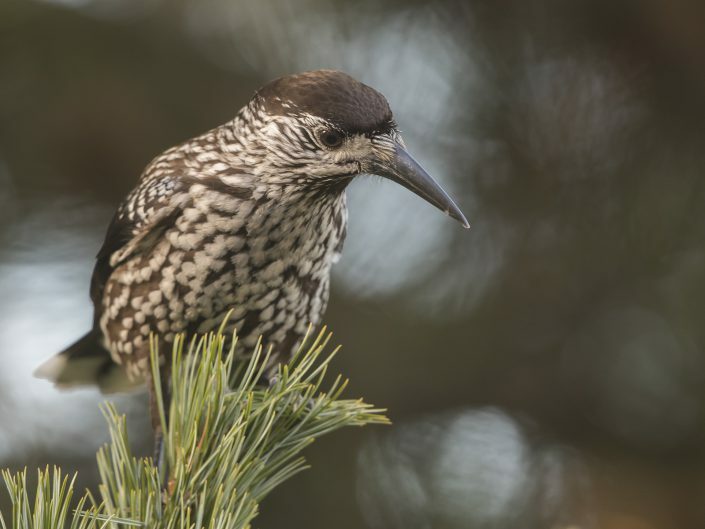 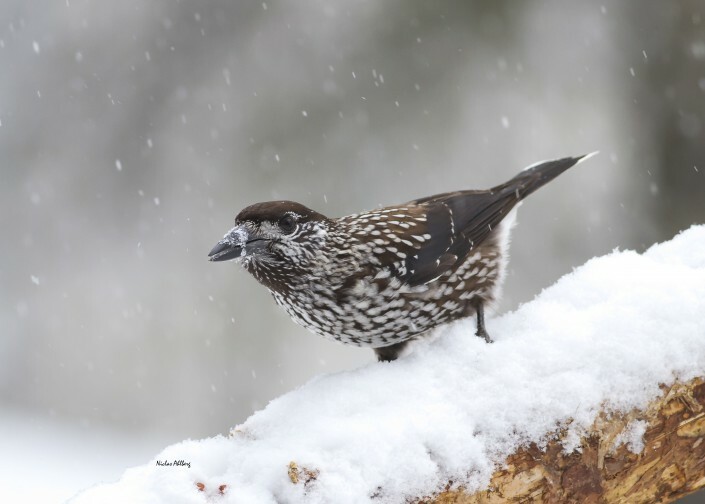 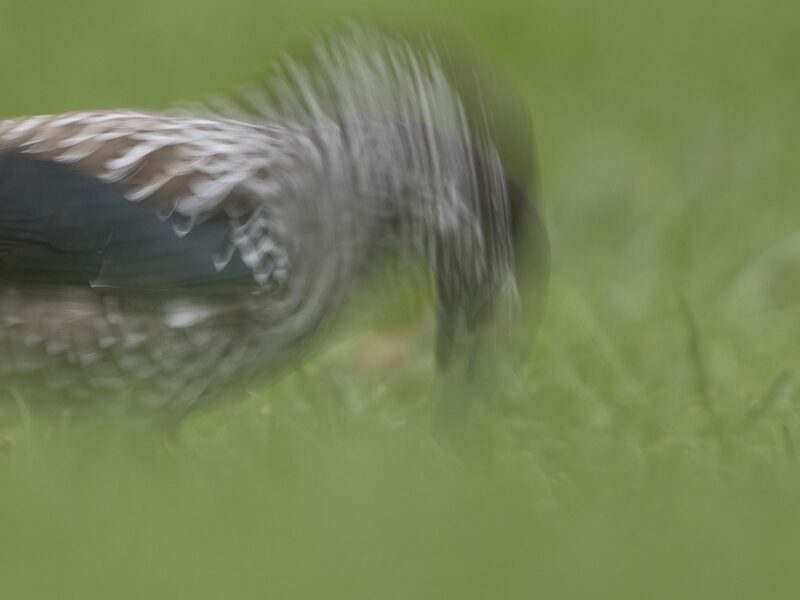 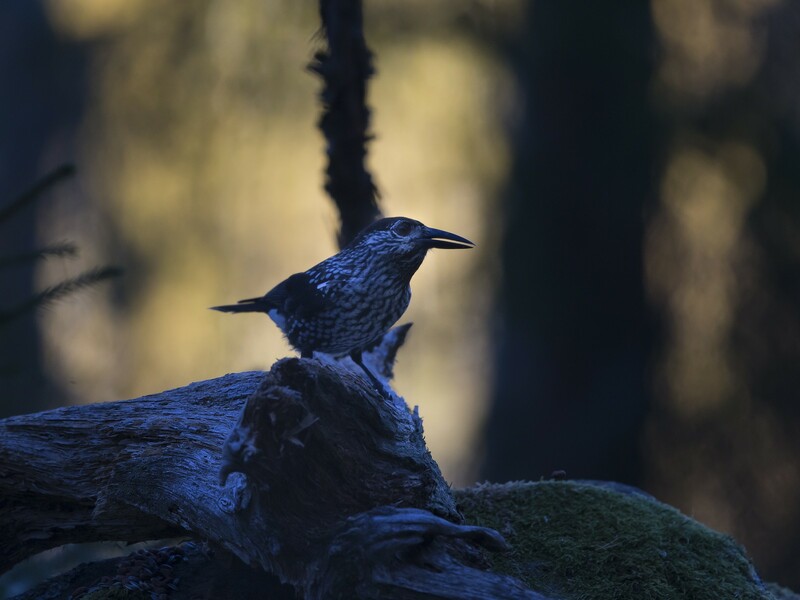 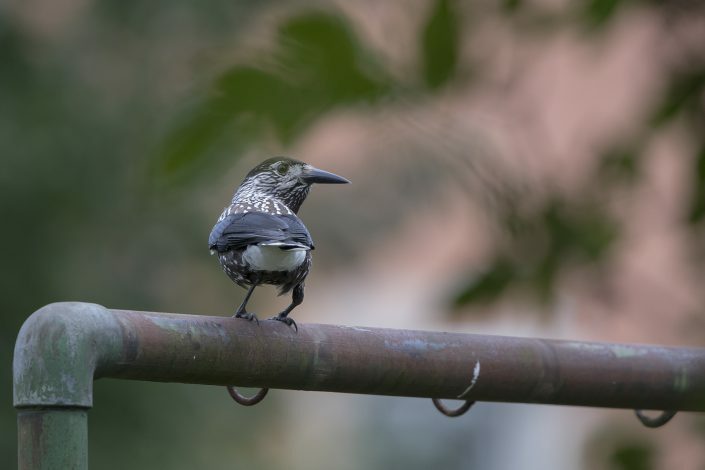 Spotted nutcracker has an extensive range forming a broad swathe east-west from Scandinavia right across northern Europe, Siberia and to eastern Asia, including Japan, inhabiting the huge taiga conifer forests in the north. 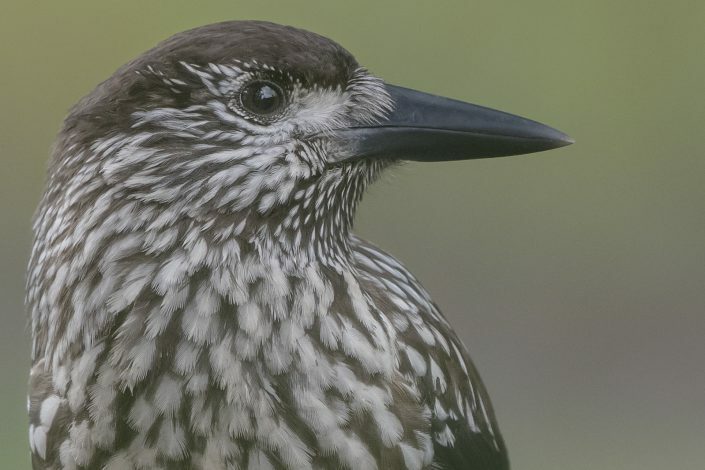 Spotted nutcracker couples stay together for life and their territory expands between 20 and 30 acres. 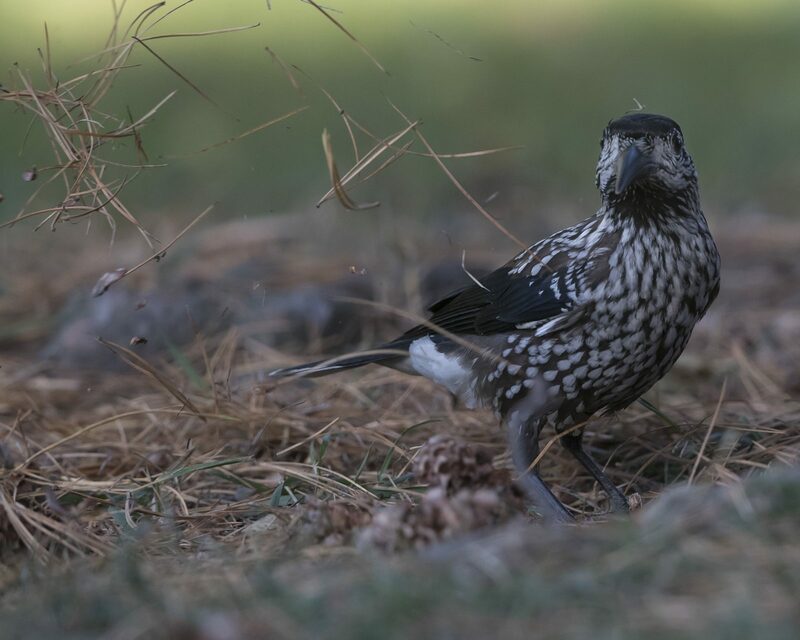 Nesting is always early in this species across its whole range, so as to make the best use of pine nuts stored the previous autumn. 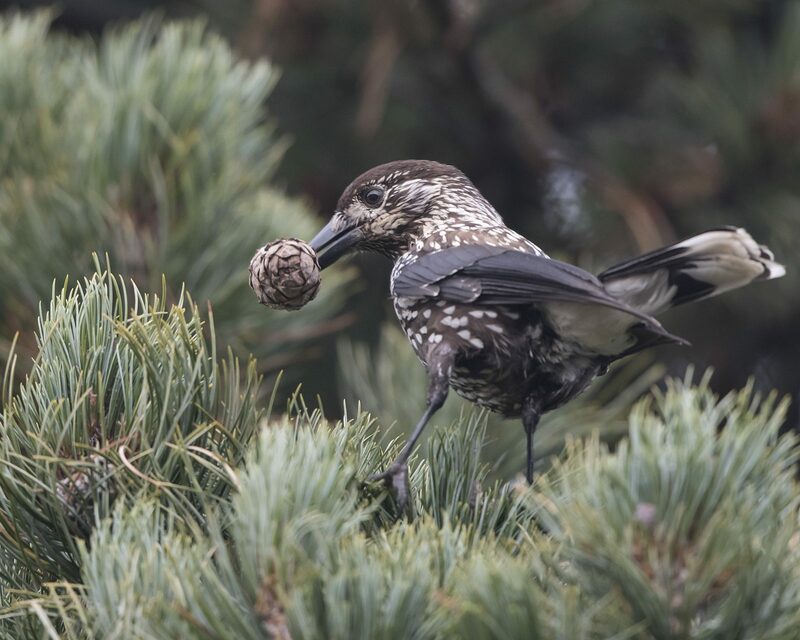 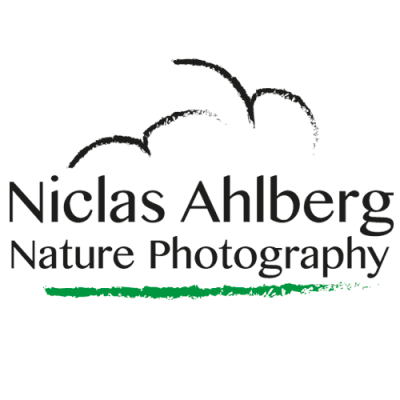 The nest is usually built high in a conifer (sometimes broadleaved trees are used) and usually on the sunny side. There are normally 2-4 eggs laid and incubated for 18 days. 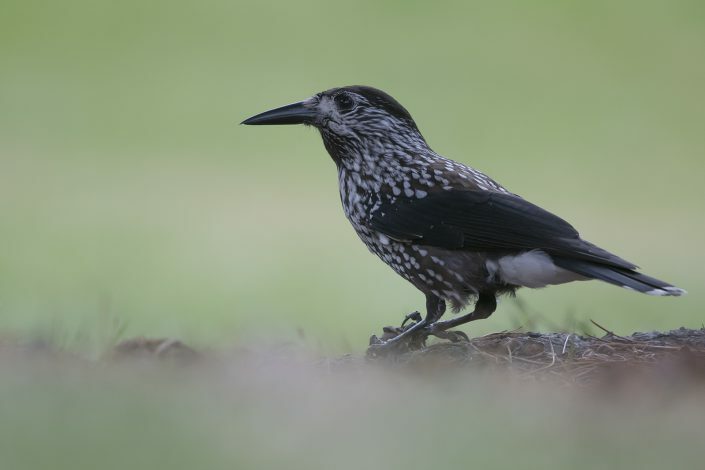 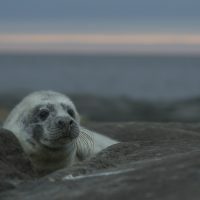 Both sexes feed the young which are usually fledged by about 23 days and stay with their parents for many months, following them to learn the food storage techniques essential for survival in their harsh environment.